Dr. Philip J. Miller who is widely acclaimed as one of New York City’s premier cosmetic and facial plastic surgeons & a leading expert in rhinoplasty and revision rhinoplasty joins eHealth Radio and the Plastic Surgery Information Channel. Tell us about yourself briefly and why did you get into Plastic Surgery? What is the recovery expectation going through a rhinoplasty procedure? Dr. Philip J. Miller is widely acclaimed as one of New York City’s premier cosmetic and facial plastic surgeons. With more than 20 years’ experience, he enjoys a well-deserved reputation as a leading expert in rhinoplasty and revision rhinoplasty. Dr. Miller is double board certified in Facial Plastic & Reconstructive Surgery and Otolaryngology/Head & Neck Surgery. He is consistently voted one of the Best Doctors in America, as well as a Top Doctor of New York. Dr. Miller has served as a member of the Board of Directors for the American Academy of Facial Plastic and Reconstructive Surgery, and a guest examiner for the American Board of Otolaryngology. He has published original articles in peer reviewed facial plastic surgery journals and has authored numerous manuscript chapters. He was recently invited to serve as a guest editor of the monographs Facial Plastic Surgery and Clinics of Facial Plastic Surgery and written chapters for rhinoplasty and neck rejuvenation textbooks. He has presented papers at regional and national meetings and served as a visiting Professor both in the United States and England. Dr. Miller has appeared on NBC’s The Today Show, the Discovery Channel and has been featured in Elle, Marie Claire, W, Hamptons and Gotham magazines and in The New York Times and The Wall Street Journal. Dr. Miller graduated Phi Beta Kappa from Wesleyan University where he earned his Bachelor of Arts degree in Biology. He obtained his Medical Degree from the University of Massachusetts School of Medicine. Dr. Miller served his Internship and Residency in General Surgery and his Otolaryngology/ Head & Neck Surgery Residency at New York University School of Medicine. Dr. Miller served as a Fellow in Facial Plastic & Reconstructive Surgery at the Oregon Health Science University, Portland, Oregon. He is board certified in both Facial Plastic & Reconstructive Surgery and Otolaryngology/Head & Neck Surgery. Dr. Miller is a Clinical Associate Professor and director of the NYU Facial Plastic Surgery Fellowship Program in the Department of Otolaryngology, New York University School of Medicine, and shares the responsibility for teaching Facial Plastic Surgery to the medical students and Otolaryngology Residents. 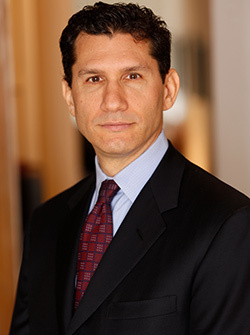 He is a Fellow of the American Academy of Facial Plastic & Reconstructive Surgery, a Diplomate of the American Board of Facial Plastic & Reconstructive Surgery, a Fellow of the American Academy of Otolaryngology/Head & Neck Surgery, a Diplomate of the American Board of Otolaryngology, and a Fellow of the American College of Surgeons.